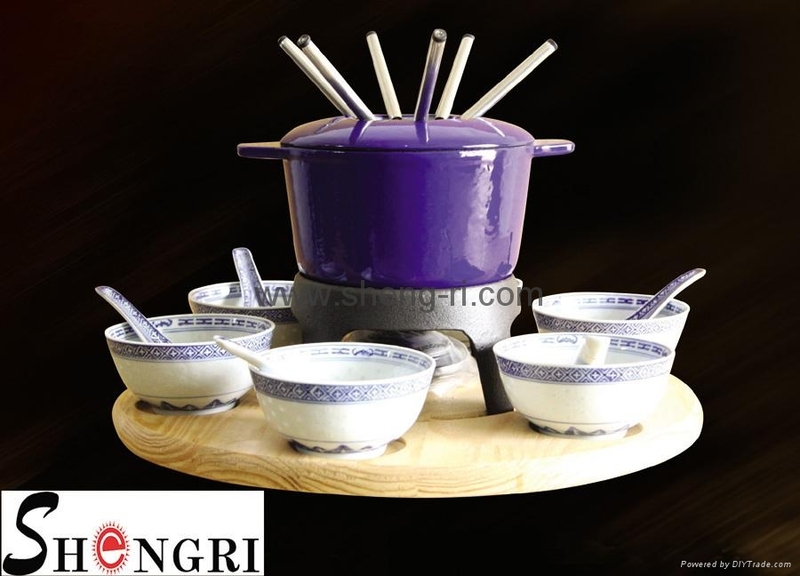 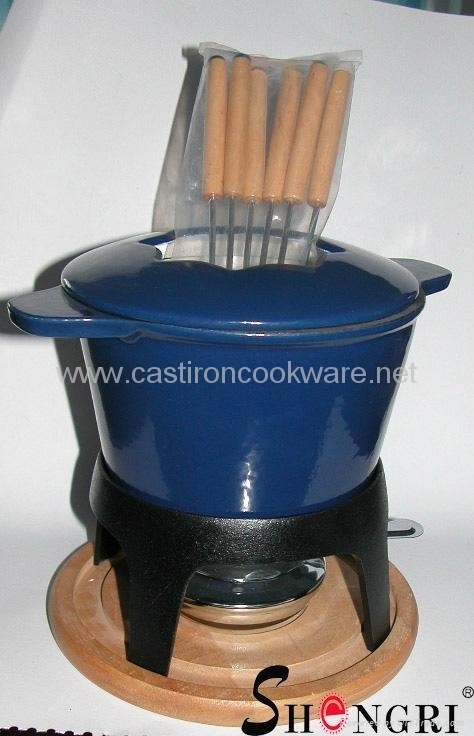 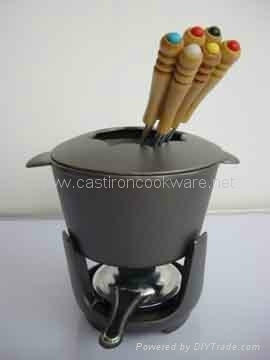 cast iron Cheese pot are made of cast iron material ,with forks and burner. 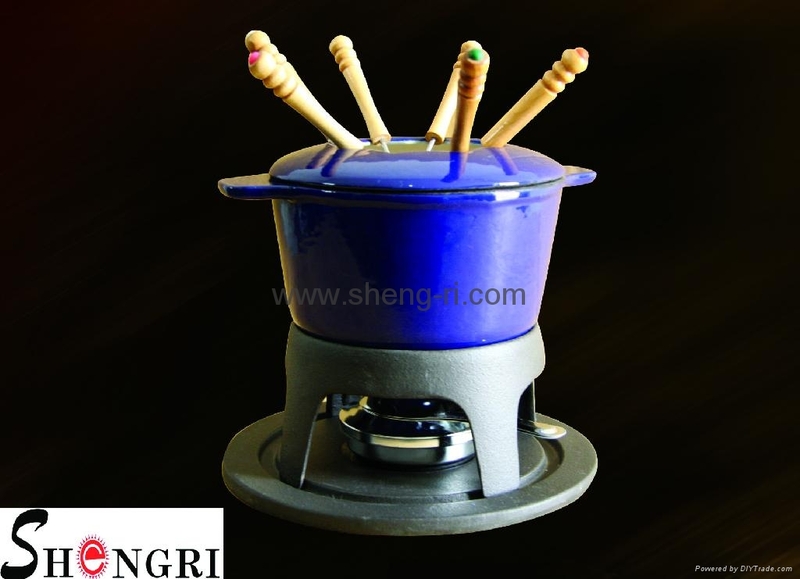 Advantages︰ fondue pot is a necessary cooker for your kitchen. 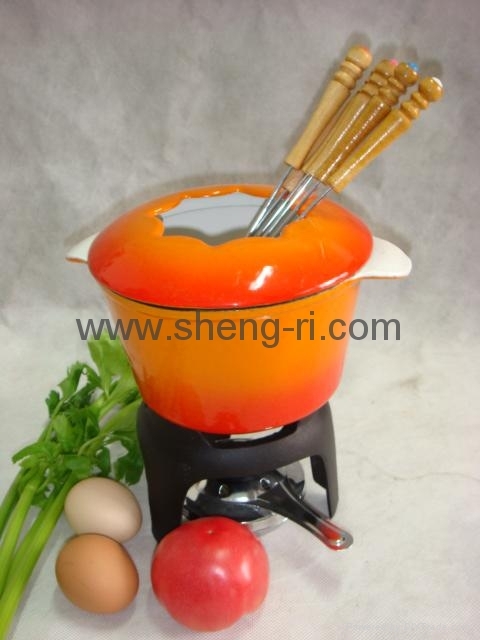 and the enamel coating is very becautiful.cast iron material is very healthy for food.